Mojo Monday is a card challenge I am doing every week. This week I'm running a bit late and usually try to have it uploaded before Sunday night, because tomorrow there is a new sketch! 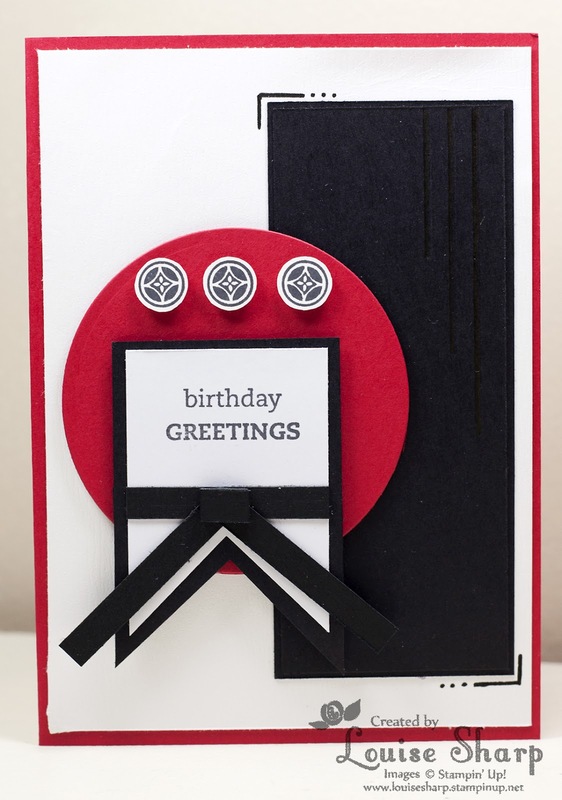 My card this week has an Asian influence and was inspired by our son's karate birthday party this week. He has recently started karate lessons and our world has been taken over ninja style! I thought this card would be suitable for any male of any age. There's no middle, because it's just a plain white insert - bit boring I know, but just wanted something simple. 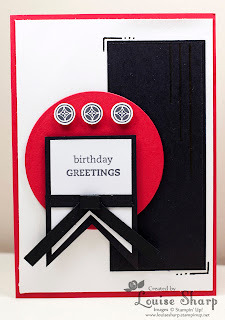 I used the small stamp from 'Circle Circus' and the birthday greeting from 'On Your Birthday'. HAPPY MOTHER'S DAY - What we do for our children! I also enjoy making/decorating cakes as a hobby. I have never done any courses, just taught myself. This is our son's karate inspired birthday cake - which was chopped in half with samurai sword! At least with cards they don't get chopped and eaten and the hard work can be savoured a little longer! Thanks for looking - remember...I love your feedback!